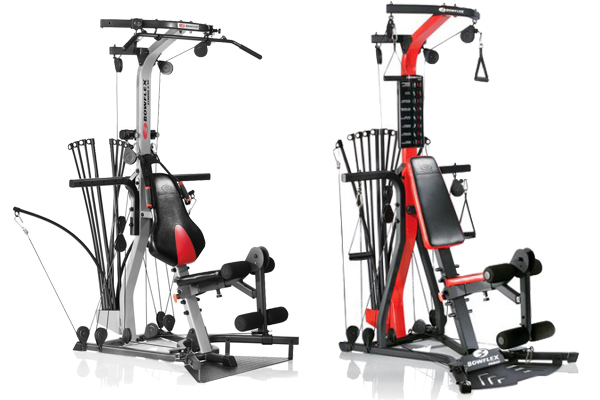 Bowflex Xtreme 2SE vs PR3000 put two Bowflex vertical home gyms side by side. Here in this article, our review below will show you the differences in form of features and performance between these machines and aid you in deciding the best buying decision for your situation. We did this in order to answer many questions about comparison especially for Bowflex brand. Bowflex Xtreme 2SE is a home gym with two position adjustable lat tower and 4 position lower pulley squat station, but with no-change cable pulley system. You can do some possible benefits like developing strong legs, flat abs, and toned glutes as well as your chest and arms. It will provide more than 70 exercises and numerous enhancements including 310 lb and 410 lb. Your problems about abs crunch shoulder harness and other problems in triceps, biceps, wrists, hips, calves, and lower back muscles will be healed if you use this regularly by supported of angled lat bar and 4-position lower pulley or squat station. Bowflex Xtreme 2SE has capacity for 300 pounds to work out efficiently as well as for all size of people and all sizes of rooms. Xtreme 2SE can let you lose weight without the risk t join injuries. Moreover, it has Power Rods which are built with the highest quality composite material. You will stay comfortable and will keep the pressure off of your own back also with the ergonomic adjustable seat. It is also known with unique 5 way hand grip or ankle cuffs of the Bowflex Xtreme 2SE that are created to add more flexibility and performance for any kinds of workouts. What are the functions? The functions are a Regular Grip, Non-Grip Cuff, Ankle Cuff, Foot Cuff and a Shoulder Cuff. Bowflex PR1000 vs PR3000 is been a latest and long time post about this models. So let’s move to the other one. Many people use Bowflex PR3000 to lose their weight and get into shape they want. Bowflex PR3000 has 50 different exercises and you will be aided in this by hand grips and ankle cuffs that help you perform all the exercises with no exception. With a vertical bench press and cushioned leg, you can be helped with upper bodywork and for lower bodywork for a complete workout. For the exercise, you will have every major muscle groups covered. On the other hand, the upper and lower arm work of this such as high delt rows, shoulder shrugs, rotator cuff work, various pulldowns, triceps extension, bicep curls and shoulder presses are included. Especially for lower body exercises also like seated ab crunches, trunk rotations, squats, leg extension, and hip work such as various raises and abduction/adduction exercises. Overall, if you own your Bowflex PR300, you can exercise whenever the mood strikes you is useful enough, and as is the ability to workout without going to the gym first and one more thing: you do not have to pay a gym membership fee every day or month. Reports by satisfied-users are mostly positive and note that Bowflex gyms do work provided one is realistic about their goals. The main difference between Xtreme 2SE vs PR3000 is only in the maximum number of exercises you can perform with each machine. Bowflex PR3000 has fewer exercises than Xtreme 2SE with total 20 exercises and mostly arm exercises. But, in features, Bowflex Xtreme 2SE has more especially in several main features like Fitness Guide and attachment. Which one you will choose by the way?